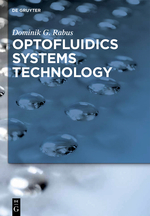 Optofluidicsis, Microfluidics and Nanofluidics is a peer-reviewed, open-access journal publishing original and applied research in the field of applied Optofluidics, Microfluidics and Nanofluidics. A truly interdisciplinary approach to biochemical and medical sensing involving ingredients from photonics, nanotechnology, and microfluidics. 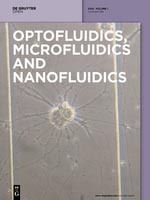 At the cross-roads of biology, microfluidics and photonics the field of optofluidics allows for quick and compact solutions for medical and biochemical sensing and manipulation. This book is concerned with the ingredients for a polymer-based platform which is able to culture and pattern life cells for a sufficient period of time, enables the integration of photonic devices, and provides means to integrate electronic readout. Thus – in its cross-discipline approach – it touches on aspects of photonics, nanofabrication, and biological methods alike. COST (European Cooperation in Science and Technology) is Europe's longest-running intergovernmental framework for cooperation in science and technology funding cooperative scientific projects called 'COST Actions'. The aim of this COST Action is to establish active interlinks between laboratories working in the fields of micro and optofluidics, optical tweezers, nanoscience and photonics, bio and soft materials, focusing their work towards lab-on-a-chip systems and at promoting long-term development of these fields in Europe. The goal is to increase the knowledge in basic physics and biology from the micro- down to the nano-scale, and to develop the future generation of lab-on-a-chip devices for portable and inexpensive, but accurate and reliable equipments for: (i) diagnostics; (ii) detection, identification and manipulation of biomolecules and nanomaterials, (iii) biomedical and environmental microsensing, (iv) advanced imaging, (v) energy generation.